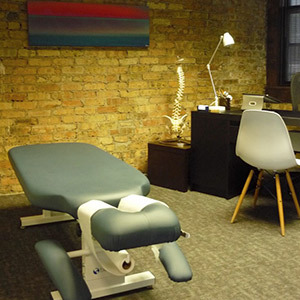 Our practice offers a relaxed, comfortable atmosphere where all ages will feel at ease. There is a reception area for you to spend a few moments unwinding in before seeing Dr. Backhaus, with separate rooms for each of the treatments we provide. New patients can find the necessary paperwork for chiropractic or cosmetic acupuncture online, which can be filled out and brought in with you completed. Subsequent appointments take about 30-40 minutes to complete. Dr. Backhaus will answer your questions or address any concerns, then treat you according to your plan. As you start to feel better, the frequency of your visits will decrease. Dr. Backhaus will also advise you on other lifestyle aspects such as nutrition, posture, ergonomics and exercises to speed your healing. Contact our Lakeview practice today to schedule your time. We offer Saturday appointments and late opening hours! For all patient appointments, there is a 24 hour cancellation policy in effect.